The nurse screamed for help when her 2-week-old heart patient developed breathing problems, but 20 minutes passed before a Honolulu Airport customs official called 911, an autopsy report shows. 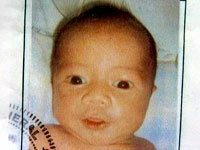 The case stems from the death of an infant shortly after arriving from Samoa. The report concludes the infant, Michael Tony Futi, died for lack of supplemental oxygen needed because of congenital heart disease. The family of the infant sued the government Monday in federal court. Attorney Rick Fried provided additional details yesterday regarding the incident, including the autopsy results. When the baby's breathing became erratic at 5:55 a.m., according to the report, the nurse banged on the door of the holding room and screamed, "Call 911!" A customs official told her to calm down and be quiet. In response to the suit, U.S. Customs and Border Protection spokesman Jim Kosciuk said yesterday: "On behalf of Customs and Border Protection, and the hundreds of dedicated CBP men and women on the island of Oahu, we grieve with the Futi family and our community over this loss. CBP is cooperating fully with the police investigation in this matter. As this is now a matter in litigation, it would not be appropriate for CBP to comment regarding any allegations that have been raised." The baby, his mother and the nurse who accompanied them from Pago Pago, American Samoa, were the first to get off the flight at 5:32 a.m. Feb. 8 and a car was waiting to take them to Kapiolani Medical Center for Women and Children. The hospital in American Samoa had provided customs officials with the family's itinerary and the baby's condition. The agency, in turn, had issued a written visa waiver a few hours earlier, approving the infant's mother, Luaipou Futi, for immediate entry into the United States for the duration of her son's treatment. But while the infant and the nurse cleared immigration at 5:45 a.m., all three were placed in a locked room because of perceived problems with the mother's paperwork. The nurse then told customs officials the baby was sick and needed to get to the hospital. Fried said yesterday the mother's documents were in order but that in any case there was no reason to hold the baby and nurse. The baby had received oxygen during the flight and the nurse had checked him every 15 minutes to make sure his oxygen levels were normal, the report said. The nurse was aware that the child could go without oxygen for at most an hour, the report added. At 6:08 a.m., a customs official entered the room with a U.S. Public Health Service worker, who began chest compressions as the nurse continued her resuscitation efforts. She also placed her fingers in the infant's hand "for bonding," the report said, but four minutes later he released his grip. At 6:15 a.m. - when the baby had gone 43 minutes without oxygen - airport officials called 911. The baby reached the hospital at 6:56 a.m., but was pronounced dead at 7:21 a.m.